The Netherlands, part of the Low Countries, is a small nation where the quality of life is measured with pleasure and where great attention is paid to the smallest of details. 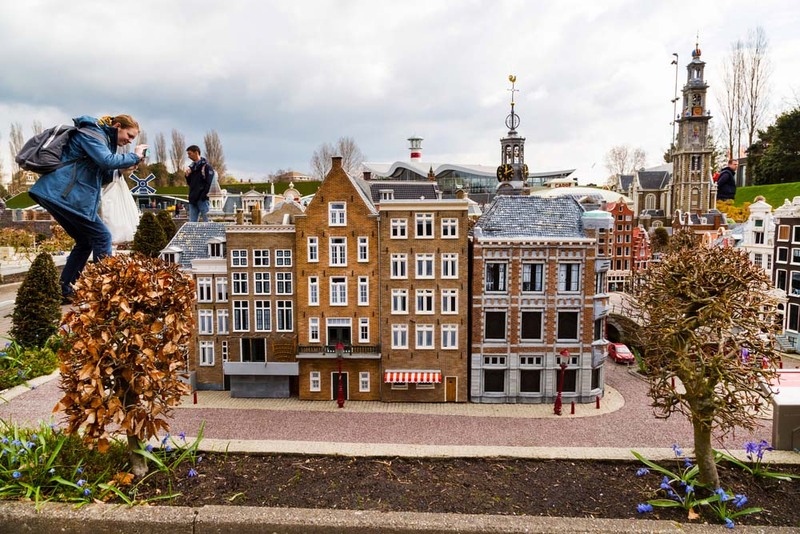 As a reflection of this quality, the Dutch have built the Madurodam — a miniature park that showcases replicas of several famous Dutch landmarks and highlights the everyday life of the Dutch folk. In the 17th and 18th centuries, well-to-do Dutch merchants’ wives indulged themselves with miniature dolls’ houses, sometimes, exact replicas of their own homes. Commissioned by only the very wealthy, these miniatures were beautifully detailed; often crafted by artisans from France and decorated with cutlery from China. These dolls’ houses could cost as much as a real Amsterdam canal house! The Rijksmuseum in Amsterdam and Frans Hals Museum in Haarlem have on display a few, well-preserved and wonderfully ornate dolls’ houses from 300 years ago. In the present day, the tradition of Dutch miniature creations continues at the Madurodam. The Madurodam was opened in 1952 and was named after George Maduro, a Jewish law student from the Dutch Antilles. Maduro was a member of the Dutch resistance and died in a concentration camp in 1945. After his death, his parents donated funds, in the name of their son, to build the Madurodam. The original idea for the park came from B. Boon-Van der Starp who was a member of a foundation that offered medical treatment for Dutch students. She was inspired by Bekonscot, a miniature-park attraction in England that raised money for similar services. The architect of Madurodam, S. J. Bouma, created the theme of the park: ‘Het stadje met de glimlach’ or ‘The little city with a smile’. Today, it is exactly that. In this happy toytown in Scheveningen (near Den Haag), mini tulips sway in mini fields in every season; mini airplanes taxi in and out of Amsterdam Airport Schiphol; mini boats bob on mini canals; and, mini people cycle on mini bikes over mini bridges that lie astride the many mini waterways of this kleine (small) lowland. Unlike their predecessors, all creations at Madurodam are precisely crafted to a scale of 1:25 by artisans, who factor in every little detail of all elements put on display in this open-air park. Everything from the trees on the streets to the tulip bulbs are made precisely to scale. In fact, the little residents of Madurodam are also culturally astute and represent all the minorities of the Netherlands. Before a new attraction is added to the collection, the artists research all aspects of the building to be created. They measure the smallest details and proceed to make the physical model, which is finally painted and then placed into the park. Since it is open air, the models require constant care and restoration. Even the people of the mini city are looked after quite properly and get a change of clothing suitable to the weather. The park is divided into three themes. In keeping with the topography of the country, the first is ‘Water, as a friend and an enemy’; the second is ‘Historical cities’; and the third is ‘The Netherlands, as an inspiration for the world’. Each theme has different lighting and musical shows for visitors. Some miniatures are working models and can be seen in action — triggered by small coins, bridges open and oil tanks come to life. Like any other museum, the exhibits here have detailed information placards and audio-visual clips that explain the nature and history of the buildings on display. The city of Madurodam has a mayor, city council and a youth council. The original mayor was the then-teenage Princess Beatrix. Now, students from schools in Den Haag can be nominated into the Madurodam Youth Council, and help to manage the Madurodam charity funds. 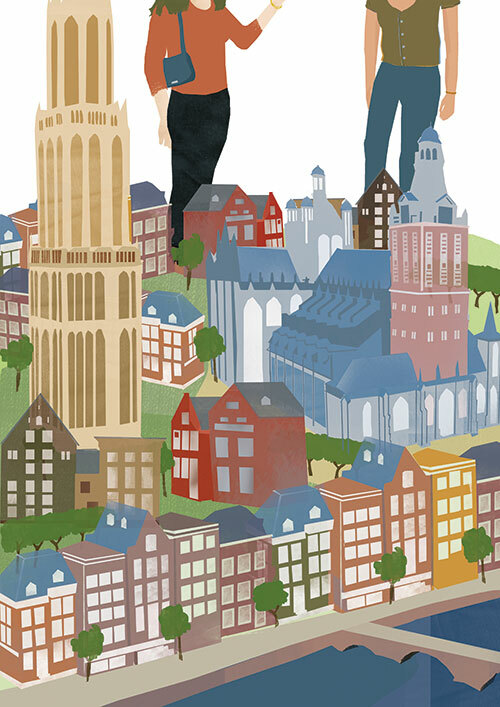 When you spend the day here, you can look around the Jordaan, Amsterdam’s most beautiful neighbourhood, or explore the port of Rotterdam; you can see the layout of the Peace Palace or have a top view of St John’s Cathedral in Den Bosch — they are all beautifully crafted and each one is full of wonder. In a rather Alice in Wonderland fashion, you find that the scaled-down sights put things in perspective and make the world a smaller, but happier place. Tasneem Mohamedbhai is a freelance writer who lives in the Netherlands.